Potash exploration company Emmerson has released an operational update and 2019 overview for its flagship Khesisset potash project. Potash exploration and development company Emmerson (LSE:EML) has released an operational update and 2019 overview for its flagship Khesisset potash project in Morocco. 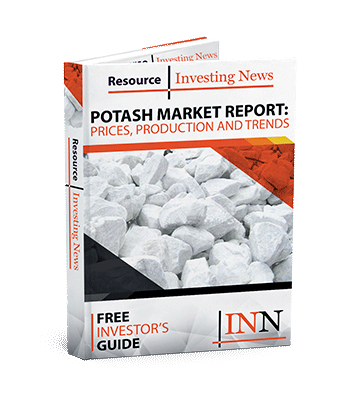 The update features results from a scoping study completed at the site during the fourth quarter of 2018 confirming the technical and economic viability of the potash project. The recently acquired results of the study give Emmerson the resolve to move ahead with the rapid de-risking of the project. According to Emmerson, the Khesisset project has the potential to be among the lowest capital cost projects of its kind in the world. “The exceptional results of our scoping study, which show Khemisset has the potential to be among the lowest capital cost and highest margin potash projects in the world, gives us a high degree of confidence to push ahead with our technical and engineering work,” CEO Hayden Locke said in the announcement. The 2019 work streams outline includes infill and exploration drilling to confirm and expand the mineral resources at Khemisset, which is currently underway. The upgrading of the current JORC inferred mineral resource estimate of 311-million tonnes at an average grade of 10.2 percent potassium oxide is also in progress. The Khemisset project will also undergo a metallurgical test work to confirm process flow sheet ahead of a prefeasibility study planned for later this year. Emmerson will also undertake an environmental and social impact assessment, and enter into strategic discussions with offtake and sales and marketing partners. “With numerous work streams either underway or due to commence throughout the year, including drilling, metallurgical testing, the pre-feasibility study and discussions with potential in-country partners and strategic offtake and sales partners, we expect 2019 to be a year of high impact news flow as we continue to de-risk what we believe to be an outstanding potash project,” added Locke. The Khemisset is estimated to have 20 plus year life-of-mine and could potentially deliver earnings before interest, taxes, depreciation and amortization margins in excess of 60 percent. Shares of Emmerson were up 7.53 percent on Tuesday (January 15) following the announcement, trading at GBX 3.00.